Ralph Nathaniel Twisleton Wykeham Fiennes is a British theatre and film actor. A noted Shakespeare interpreter, he first came to prominence on the English stage. Since then, he has portrayed characters such as Nazi war criminal Amon Goeth in Schindler's List, Count Almásy in The English Patient, Charles Van Doren in Quiz Show. He also starred in The Constant Gardener, Strange Days, Onegin, and The End of the Affair among others. Perhaps his most high-profile role in recent years was Lord Voldemort in the Harry Potter film series. In 2010, Fiennes made his directorial debut with his film adaptation of Shakespeare's tragedy Coriolanus, in which he also played the titular character. Fiennes won a Tony Award for playing Hamlet on Broadway and has been nominated twice for the Academy Award. Fiennes trained at the Royal Academy of Dramatic Art between 1983 and 85. He began his career at the Open Air Theatre, Regent's Park and also at the National Theatre before becoming a star in the Royal Shakespeare Company. Fiennes first worked on screen in 1990 and then made his film debut in 1992 as Heathcliff in Wuthering Heights opposite Juliette Binoche, for which he received substantial acclaim and praise throughout Europe. 1993 was his "breakout year". He had a major role in the controversial Peter Greenaway film The Baby of Mâcon with Julia Ormond, which was poorly received. Later that year he became known internationally for portraying the amoral Nazi concentration camp commandant Amon Göth in Steven Spielberg's Schindler's List. For this he was nominated for the Academy Award for Best Supporting Actor. He did not win the Oscar, but did win the Best Supporting Actor BAFTA Award for the role. His portrayal as Göth also earned him a spot on the American Film Institute's list of Top 50 Movie Villains. To look suitable to represent Amon Göth, Fiennes gained weight, but he managed to shed it afterwards. Fiennes later claimed that playing the role had a profoundly disturbing effect on him. In a subsequent interview, Fiennes recalled, "Evil is cumulative. It happens. People believe that they’ve got to do a job, they’ve got to take on an ideology, that they’ve got a life to lead; they’ve got to survive, a job to do, it’s every day inch by inch, little compromises, little ways of telling yourself this is how you should lead your life and suddenly then these things can happen. I mean, I could make a judgment myself privately, this is a terrible, evil, horrific man. But the job was to portray the man, the human being. There’s a sort of banality, that everydayness, that I think was important. And it was in the screenplay. In fact, one of the first scenes with Oskar Schindler, with Liam Neeson, was a scene where I'm saying, You don’t understand how hard it is, I have to order so many-so many meters of barbed wire and so many fencing posts and I have to get so many people from A to B. And, you know, he’s sort of letting off steam about the difficulties of the job." In 1994, he portrayed American academic Charles Van Doren in Quiz Show. In 1996 he was nominated for the Academy Award for Best Actor for the World War II epic romance The English Patient in which he starred with Kristin Scott-Thomas. Fiennes' film work has ranged from thrillers to animated Biblical epic to campy nostalgia to romantic comedy to historical drama . In 1999, Fiennes starred in the legendary role of Eugene Onegin in Onegin, a movie which he also helped produce. His sister Martha Fiennes directed and and brother Magnus composed the score. The Constant Gardener was released in 2005 with Fiennes in the central role. The film is set in Kenya, dealing in part with real people in the slums of Kibera and Loiyangalani. The situation affected the cast and crew to the extent that they set up the Constant Gardener Trust to provide basic education for children of these villages. Fiennes is a patron of the charity. 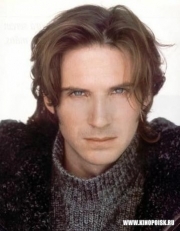 Fiennes portrayed Lord Voldemort in the 2005 fantasy film Harry Potter and the Goblet of Fire. He kept the role for both Harry Potter and the Order of the Phoenix and Harry Potter and the Deathly Hallows – Part 1 and Part 2. Fiennes' 2006 performance in the play Faith Healer gained him a nomination for a 2007 Tony Award. In 2008, Fiennes worked with frequent collaborator director Jonathan Kent to play the title role in Sophocles's Oedipus the King at the National Theatre in London. In 2008, he played the Duke of Devonshire in the film The Duchess, and played the protagonist in The Reader. In February 2009, Fiennes was the special guest of the Belgrade's Film Festival FEST. He filmed his version of Shakespeare's Coriolanus in the Serbian capital of Belgrade. former co-star from Schindler's List, Liam Neeson, who played Zeus in Clash of the Titans, a remake of the 1981 film of the same name. Fiennes is a UNICEF UK ambassador and has done work in India, Kyrgyzstan, Uganda and Romania. Fiennes met English actress Alex Kingston while they were both students at the Royal Academy of Dramatic Art. After dating for ten years, they married in 1993. They divorced in 1997. In 1995, Fiennes began an affair with Francesca Annis, whom he met when she played his mother Gertrude in the play Hamlet. After 11 years together, the couple separated in February 2006, following Daily Mail's report claiming that Fiennes had an affair with Romanian singer Cornelia Crisan. Whole or part of the information contained in this card come from the Wikipedia article "Ralph Fiennes", licensed under CC-BY-SA full list of contributors here.